That’s how a day might go. Either way. Or it could be a little bit of both. I like the days when things are floating. Like Ice Cream in a Glass of Root Beer. Every once in a while, it seems like the world just carries your weight for you. Free and clear. This was one of those days. Those times when it feels easy to be you. Or me. Everything lines up. It is easy to smile, and easy to dance… and sing. So yeah. Today was pretty great. Probably the best day of vacation so far. Besides just having a great relaxing go of things, including a couple of “Pampered Feet” Treatments… things just kept going well right through dinner. It started early with the morning walk. 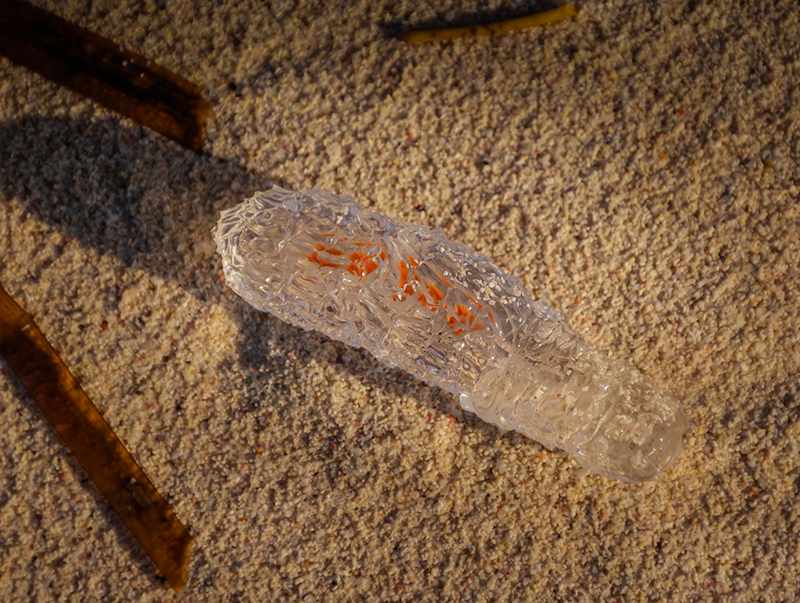 I found this Jellyfish-like thing on the beach. I am not sure what it was really, but I am 99% sure it was organic. I put it back in the water and it went away quickly. It reminded me of a lightbulb of the future. 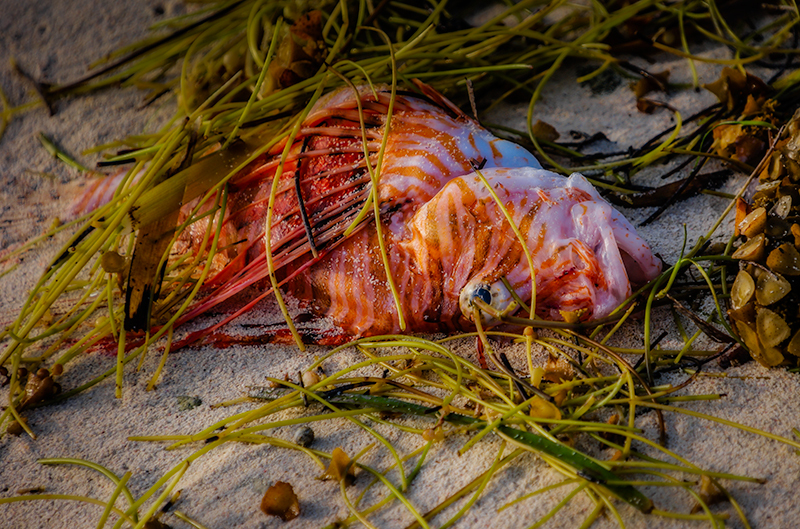 The only downside of this day was finding a Squirrelfish on the beach. At first, I thought it might have a little life in it… so I put it back in the ocean too. Unfortunately, it turned belly-up and washed back on shore in a matter of seconds. Hence, the photo op. More great “finds” throughout the day. On our way into he restaurant, we saw a Mother Hen and her three baby chicks, crossing the road. Baby, baby chicks! 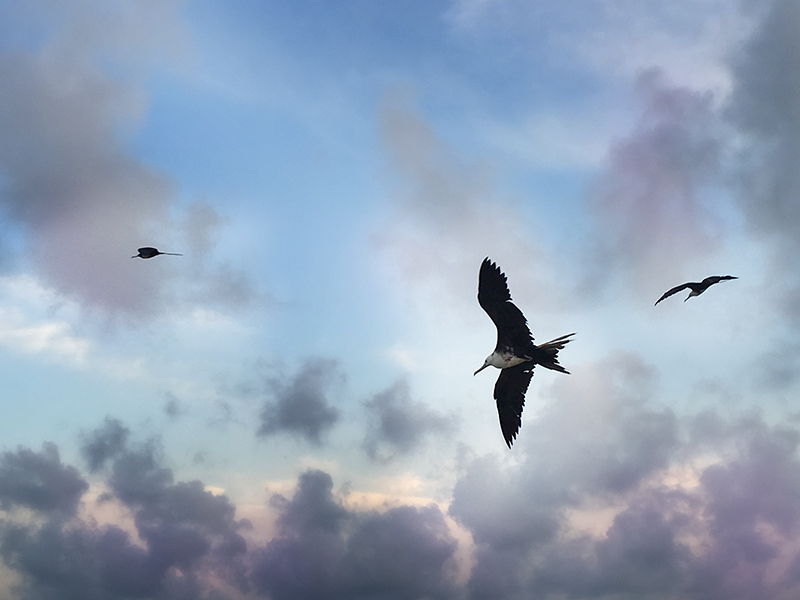 And just as we got them across the road to safety… in swooped a flock of Frigates in the sky above us. They floated and drifted on the air currents like magical kites. During dinner, they were right on the shore at our table level. And the biggest surprise…. were a couple of large sharks in the water right near the shore. All before appetizers. 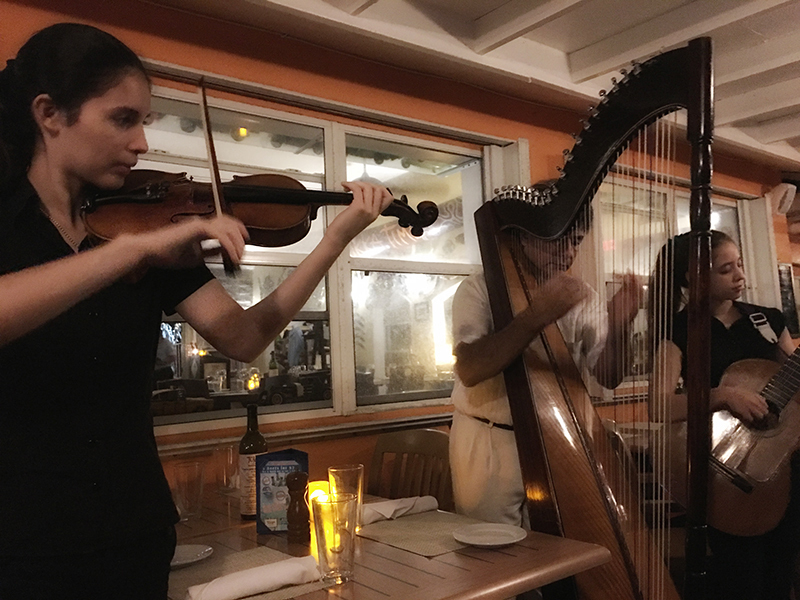 As if that weren’t enough, a stringed-trio played from table to table. A father and his two daughters. He played the harp. The oldest girl had the violin, and the youngest played guitar. They were incredibly talented. A GREAT dinner at Tukkas. With our favorite guy Tido the Waiter from India. It was Walk-About-Wednesday… so the Australian Chef Ron made all his favorite Aussie Delights. I don’t know. The whole big dang deal. It just was all so…. sooo… so … … nice. And there is a lot to be said for nice.